At DailySocial, we don’t just worship technology, but also all the entities supporting and empowering it, especially: The People. We believe that our company will only be as great as the people building it. We embrace startup life, with all its flexibility, agility, passionate and fast-paced decision making process of scaling a company. DailySocial is build with innovative mindset where everything is based on new ideas and experimentations. Instead of just executing directions from shareholders and managers, our company is run by ideas by everyone in the team, and we mean EVERYONE. Want to connect with the best minds in technology industry in Indonesia and the rest of the world? Tell us more about yourself and help us help you reach your dream. As a Full Stack Engineer, you’ll have direct impact on the user experience in every capacity. Day to day work can take you from frontend to backend. You will be building apps and backend frameworks that millions of people will use, so you must have an inquisitive mind and want to understand not just how things are being done, but why. We’re looking for an editor to oversee DailySocial’s technology coverage. This is a mid to senior-level position and one that’s pivotal to the ongoing success and growth of the site, and requires an energetic, organized, creative person who sees technology (and the companies, people, culture, and policies that shape it) as both a source of positive change and as a potential dystopian nightmare. The job involves overseeing day-to-day tech coverage, conceiving of and editing longer reported pieces and features, and working with our Editor in Chief. Email us your valid Linkedin URL and a little introduction via email to nerds@dailysocial.net with “Tech Writer Contributor” as the subject. Hi! We are dailysocial. Our operations revolves around: digital media, editorial & journalism, events, startups, entrepreneurship community, and of course the big umbrella: tech! If you have huge passion in any of those cool stuffs, and want to greet (or even discuss) with the brightest minds of the tech industry, shoot us an email, we’d love to have you on-board! Requirements: vibrant, tech-savvy, hard-working less-drama, ultra fast learner. 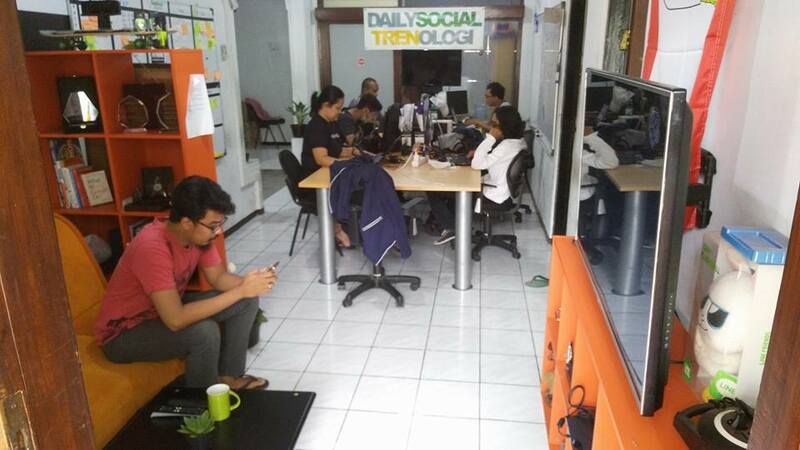 Interested to join DailySocial’s internship program? Tell us what do you want to do (marketing, content & copywriting, event, design, engineering, community, ad operations, sales) and what do you want to achieve while you’re an intern in DailySocial, via email to intern@dailysocial.net. If the idea of managing our kickass events excites you, we want to buy you coffee and chat! We’re always open for having amazing events people in our team, especially if you have huge passion in technology, startups, entrepreneurship and the likes. Even though we have fantastic marketing people here in DailySocial, we could always welcome fresh young minds that will put DailySocial brand on top! You’ll be handling our digital marketing effort, while brainstorming with our prestigious clients to build the greatest tech brands EVER! Let us know if you’re into social media, digital strategy, and number-crunching, shoot us an email with your Linkedin URL to nerds@dailysocial.net with “Marketing” on the subject.